This is an ad for a fun night out in Boston, November 12, 1844. 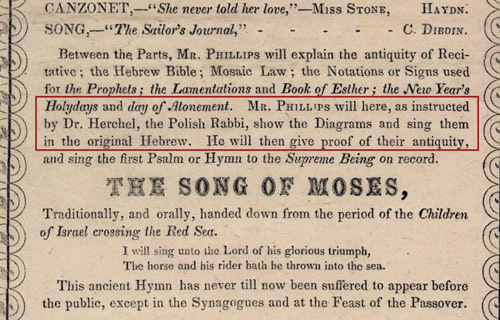 As you can see, Mr. Henry Phillips was to be assisted by Miss Stone and put on a real show, featuring Irish songs and a performance of leining, as taught to him by a Polish rabbi, Dr. Herschel. Afterwards he was to prove that the te'amim are ancient, sing Az Yashir, and then some more songs, including one about Robin Hood. Bareheaded Polish Jews in traditional garb in a Polish church? This is the demonstrations to which it refers. Dr. Yastrow is, of course, Marcus Jastrow. See here about this incident. 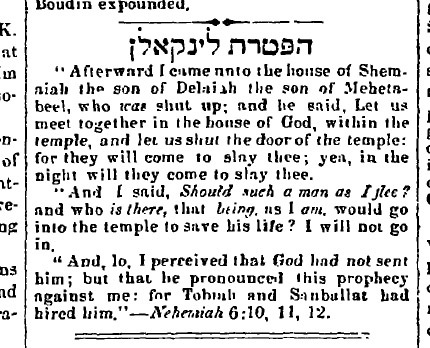 From the Israelite March 1, 1861. Ha. From Buxtorf's Abbreviaturis Hebraicis. It was my birthday recently (thank you, thank you) and a friend of mine suggested I post about birthdays. 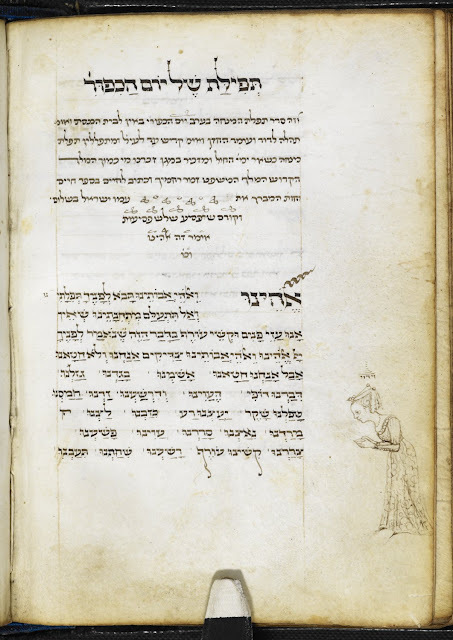 What better way than to record Rabbi Benjamin of Tudela's 12th century observation of a Christmas celebration in Constantinople? "There is a place of amusement for the king there called Hippodrome. Each year the king makes a great public celebration there on the birthday of Jesus of Nazareth. All types of people from all over the world appear before the king and his queen, a spellbinding display. They bring lions, bears, leopards, wild donkeys, which combat each other, and also birds, which fight. Nothing like this show can be seen in all the world." Here's an interesting paragraph about King Arthur in Zemach David (Prague 1592), interesting really for the end. "Arthus: the great king of Angleterra, that is England, who is known of throughout the world. He made a great defeat of the Romans and the Gauls in the year 297, that is 537 in the Christian date. This is the Arthus whom they composed ballads about which are still popular today among the German minstrels." So, any experts in German King Arthur ballads? Here's a fantastic item. 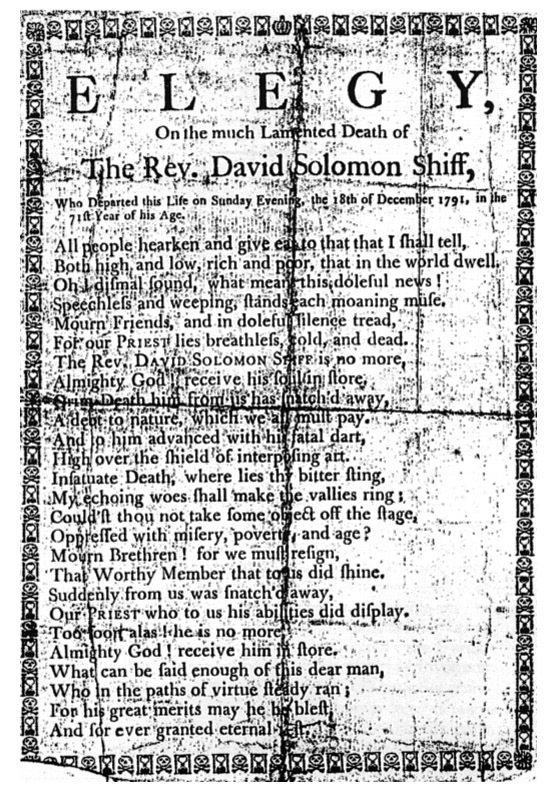 This sheet is what it says it is: an elegy printed upon the death of R. David Tevele Schiff, Chief Rabbi of the Duke's Place Synagogue in London. As the post title indicates, R. Tevele Schiff was the rabbi of R. Nosson Adler, who was of course the revered rebbe of the Chasam Sofer. 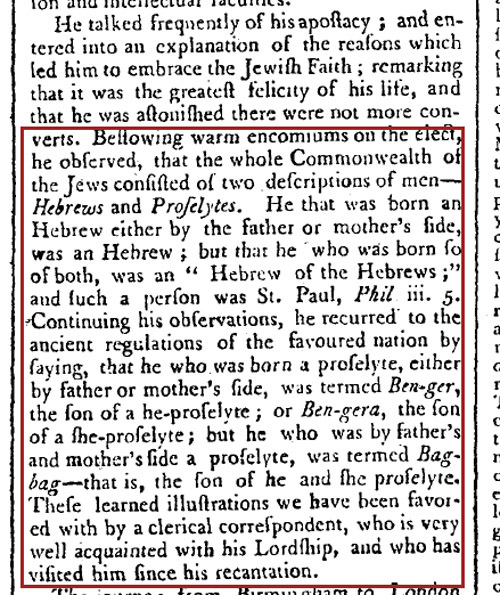 In the Bristol Journal (Dec. 15, 1787) there appears a piece called Lord George Gordon Turned Jew. It contains an account of his initial interrogation by the apprehending officer, a Mr. MacManus. The account is interesting in its own right - Gordon acted with decorum toward MacManus, but told him that he has no authority over him, or any Jew - but especially one part, which perhaps shows some of the instruction in Judaism that Gordon had heard from whichever Jews it was that he heard it from - it is some lore about converts to Judaism. That is, Gordon had explained that "Ben Bag Bag" is a notarikon for "Ben Ger, Ben Gera [sic]." Ben Bag Bag is a name that appears in the Mishnah Avot - in fact, is the source for one of its most famous teachings - - and this name certainly does seem like a pseudonym or nickname, rather than the name of an actual person. 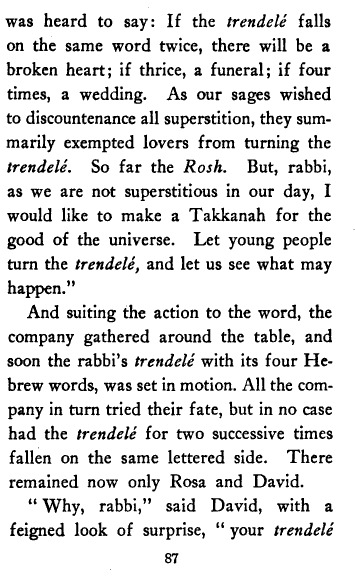 The idea is mentioned in two prominent 18th century sources, both of which were probably fairly popular in Gordon's time, R. Yaakov Emden's commentary on the Mishnah, as well as R. Yechiel Halperin's Seder Ha-dorot, which ascribes it to the Ma'arikh. At first I thought he meant R. Menachem di Lonzano, whose magnum opus Shtei Yadot contains a section called Ma'arikh. However, I think it does not appear in his book at all. I looked it up, and then I looked at another book by that title, and it does indeed appear there. This book was printed in Paris in 1629, and the author was Philip D'aquin. It may be of interest to some that his Ma'arikh Ha-ma'arakhot was dedicated to Cardinal Richelieu of Three Musketeers fame. D'aquin was a Jew named Michael (according to Siftei Yeshenim) or Mordechai according to others, who converted to Christianity and became a professor of Hebrew in Paris; much of his book actually is based on the work of the similar name by Lonzano (see intro to Arukh Hashalem; Kohut says that most of D'aquin's original material is bad. 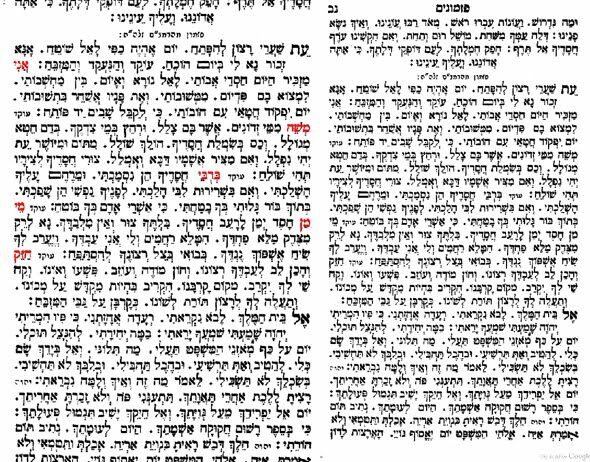 Also see Ohev Ger (p. 133) where Shadal dismisses the book as second rate, saying that it is "only an abridged compendium of the Shorashim by Radak, the Arukh, Meturgeman and Ma'arikh [by Lonzano]." 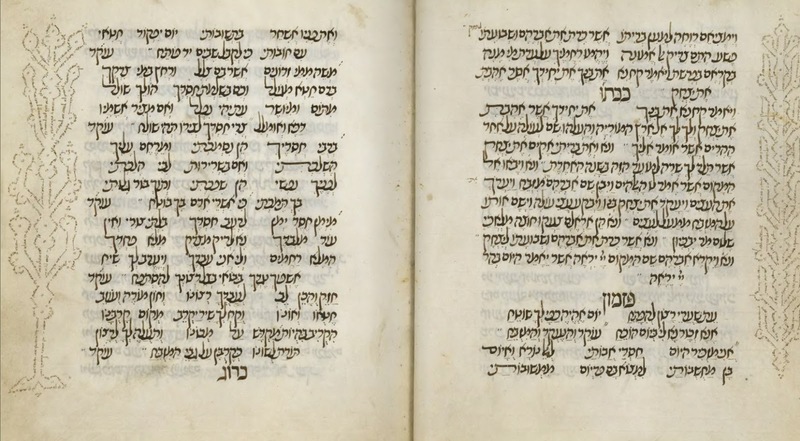 He then points out an error made by Judah Leib Benzeev who conflated the Ma'arikh of Lonzano with this Ma'arikh, by D'aquin, thereby "mixing the holy and the profane." 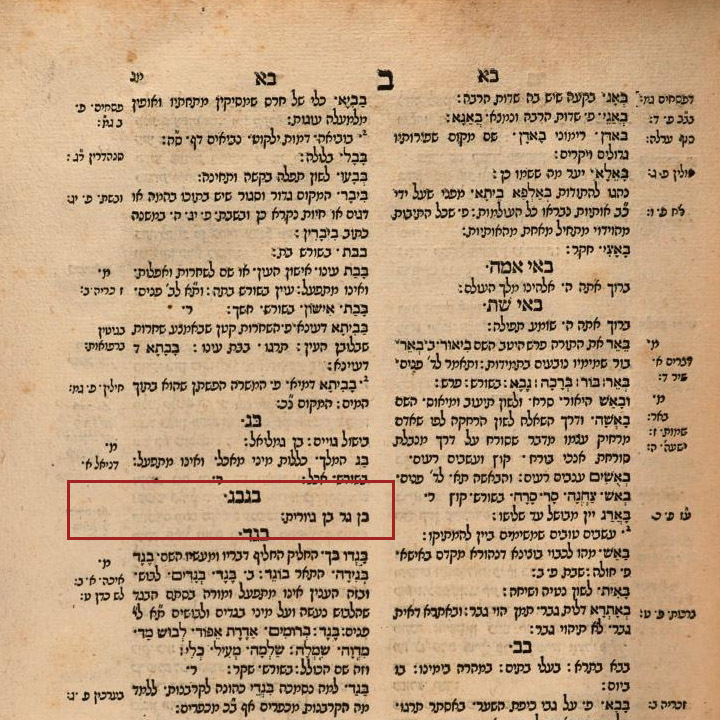 Of course, D'aquin himself wrote that the book consists of gleanings from others - "kolel leket shikcha u-fe'ah" appears on the title page - yet surely he did not credit Lonzano..
Perhaps the first time it appeared in print was in Zacuto's Sefer Yuchasin, at approximately the end of the 15th century. Zacuto writes in his entry for Ben Heh Heh that he heard that this is the same person as Ben Bag Bag, and the gematriya of Ba"g is Heh, 5. He further identifies Ben Bag Bag with Yochanan Ben Bag Bag, who is mentioned in the Talmud, and says that he heard that Ben Bag Bag means "Ben Ger, Ben Giyoret. Another16th century source, the Midrash Shmuel on Avot, quotes this explanation in the name of R. Joseph ibn Nahmias (although often this is quoted in the name of the famous "Some Say"). Midrash Shmuel continues and cites the Rashbam, who says it was a pseudonym meant to protect the convert from persecution. which is dismissed by R. Yaakov Emden because he too assumes that Yochanan Ben Bag Bag was the same person (rather than, say, the son of this person or persons using the pseudonym). 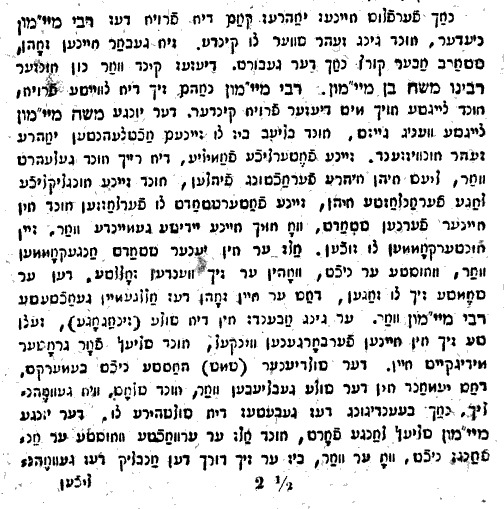 In addition to the Rashbam, Tosafot Chagigah 9b “Bar Heh Heh Le-Hillel” quotes Some Say as explaining that this mysteriously named person was a convert, and the Heh alludes to the letters Heh added to Abram and Sarai’s names and Ben Bag Bag too apparently because of the gematriya. If memory serves, the Machzor Vitry also mentions the Avraham/Sarah connection to Bar Heh Heh, firmly establishing this in Ashkenazic rabbinic tradition. 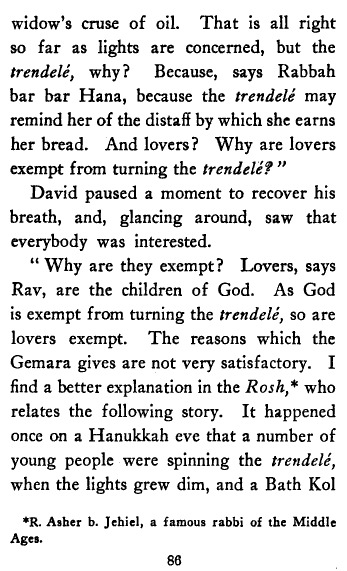 Incidentally, this whole matter is also discussed in a learned footnote in an article by Y. S. Spiegel (Yeshurun 10) and in his opinion D'aquin's book is packed with exceedingly strange explanations for roshei tevot. Spiegel also calls attention to the endorsement of D'aquin's book by the Pri Megadim. Finally, I'd like to call attention to the Tamudic term דיירא בר דיירתא - stranger/convert son of a convert, although I'm not sure of the significance - or lack of - this yet. Getting back to Gordon, I do think it is possible that he heard this from one of his Jewish friends, but I also found it to be not exactly common, but not completely obscure, knowledge in non-Jewish sources in the 18th century, so it is also possible that Gordon discovered this out of his own understandable interest in converting to Judaism. The fact that he also relates it to Paul's "Hebrew of the Hebrews," explaining it to mean "Jewish on both sides" as opposed to Hebrew (from one parent) needn't mean that he had not heard this from Jews. I would argue that this is exactly the sort of thing a learned 18th century English Jew would say. Isaac Nordheimer (1809-1842) was a 19th century Hebraist, notable today chiefly for having adopted America as his place of domicile. He was also a former student at the Pressburg Yeshiva. As far as I know there is only one account of his life, and this was written upon his death by a friend, Edward Robinson (yes, of Robinson's Arch fame), in the latter's journal the Bibliotheca Sacra and Theological Review. 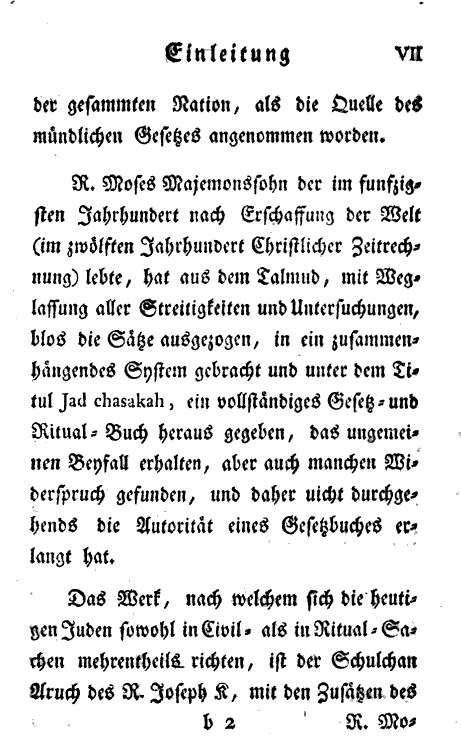 This account was published upon Nordheimer's untimely death due to tuberculosis and, to give an idea of how he was seen as a scholar in his own time, the notice about Nordheimer follows one about another recently departed Hebraist, no less than Gesenius. Of course this does not mean that Robinson considered Nordheimer the equal of Wilhelm Gesenius, but he was seen as worthy of mention in the same breath ("Biographical Notices of Gesenius and Nordheimer"). In any case, in the biography (link) some aspects of Nordheimer's years at the Pressburg Yeshiva are recorded, told to Robinson by the late scholar. For example, Nordheimer had told him that he made the [nearly 400 mile] journey from his hometown in Bavaria to Pressburg at age 13, partly on foot. Robinson says that the Chatam Sofer took a personal interest in the boy. Came across this interesting picture. Here is the Widow and one of the Brothers Romm, Menachem Gavriel, of the Vilna Romms. At least I think this is not well-known. The reason why, no doubt, is because it is not a traditional Talmud parody - it is not in Aramaic/Hebrew - but rather described, in English. It goes all the way through a Mishnah, the Gemara, the Rosh and the Rema. 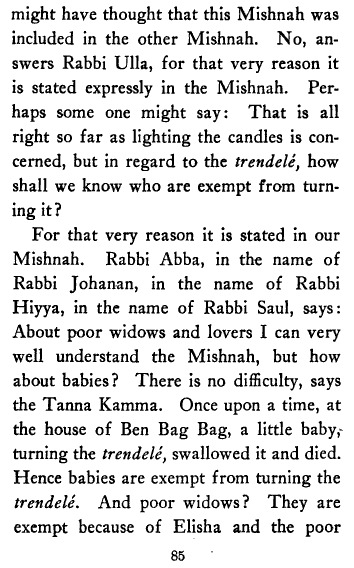 It appears in the pages of Abram Samuel Isaacs' book Under the Sabbath Lamp: Stories of Our Time for Old and Young (Philadelphia 1919) (link). I was excited, as I was pretty sure this gematriya must be referring to something which no less than the author of the Hafla'ah, Rabbi Pinchas Hurwitz, ("The Rev. Chief Rabbi Mr. Hurwitz") had told Johlson (b. 1771), or which Johlson had heard from him indirectly. However, whenever possible one should always try to look at the original, and when I did, I realized that Johlson was quoting his son, R. Hirsch Horwiz (original spelling). Probably, anyway. Oh well. However, it gets even more interesting because while Johlson does quote R. Hirsch Hurwitz in another place, he does NOT give this gematriya here. Or anywhere in the book. And it isn't like I didn't look at various editions. 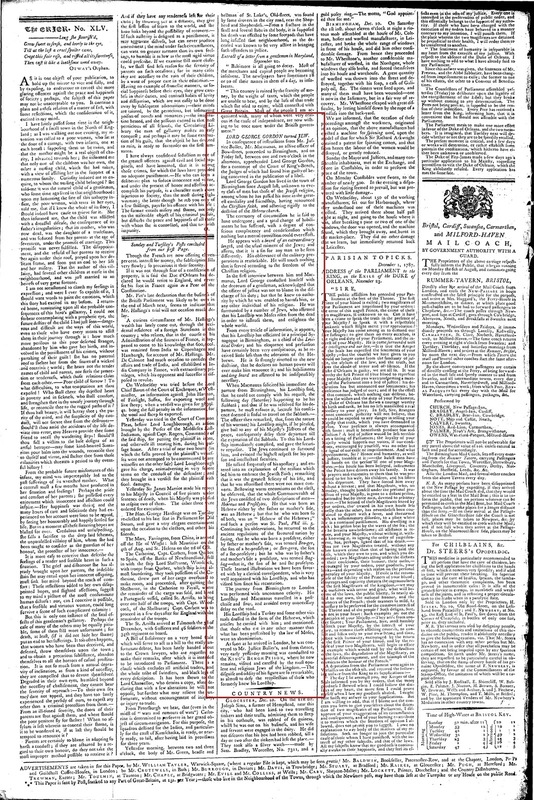 I looked at the 1819, 1824, 1829 and even 1839 edition. Nothing. 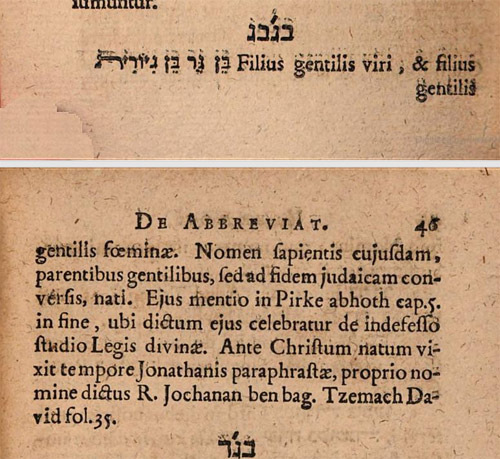 Now barring the possibility that I somehow overlooked it - and I looked through the entire book four times over - it seems that Isaac Leeser may have added this in by himself and amazingly ascribed it to the author, Johlson, for his very next note is one signed by himself (L.) in which he explains what a gematriya is. Very curious is all I can say. If you can find it in one of the original books, please do so and let me know. 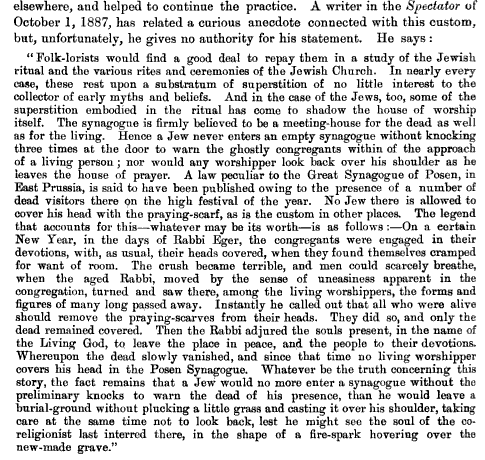 From Zangwill's column, Jewish Standard 10.29.1889. 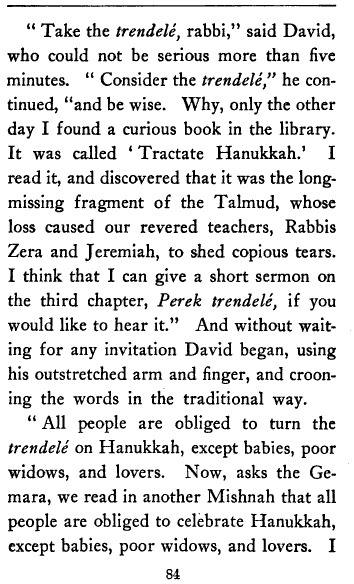 Here is a rather unusual anecdote about the time that Raphael Kirchheim, best known for his edition of the Minor Tractates, and his work on the Samaritans (introduction to Massekhet Kutim), tried to have his cholent cooked in a public oven. 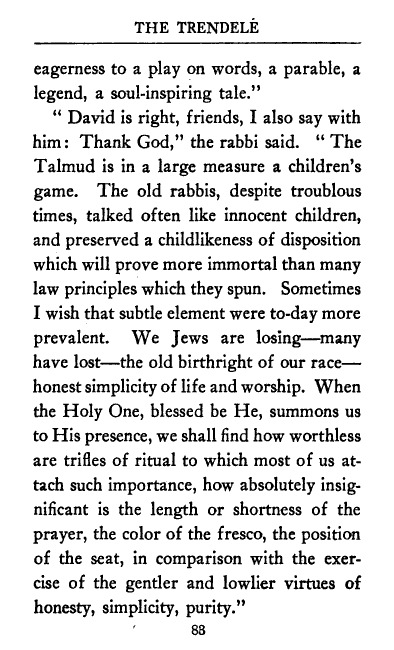 This is from Israel Zangwill's Marour and Charouseth column in the Jewish Standard 11.15.1889. See my earlier post on Heinrich Heine and the magical power of cholent (link). You can read the entire book here, including much more on R. Diskin (pp. 55-59) - it continues with the one instance that, to Adler's regret, he got involved in the fray. One day I was lazily browsing through a microfiche reel and I suddenly stopped. It was the long lost semicha certificate of Samuel David Luzzatto! I copied it and promptly took it home and asked Dan Klein to translate it for me. Actually, I kid. I was looking for it of course. After Shadal's passing in 1865, his son Isaia made it his business to collect and publish as much of his father's literary legacy as he could (or wanted to; I've seen one too many references to letters in archives that contained more material than was actually published in, e.g., Igrot Shadal). 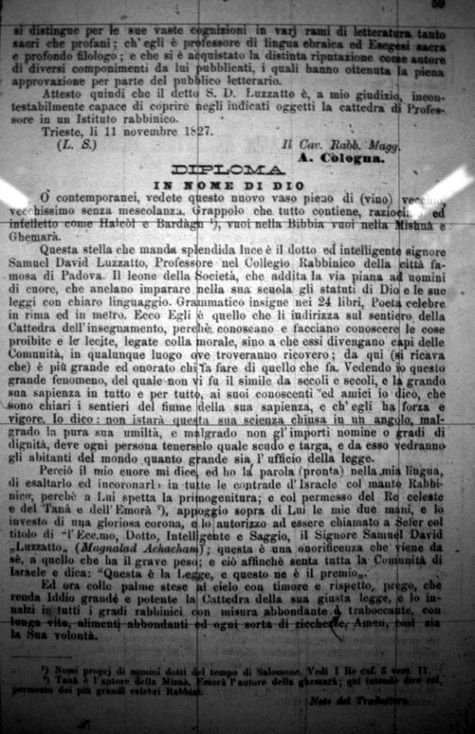 One interesting thing, which he evidently considered fairly ephemeral, he chose to publish in August of 1877 in a magazine called the Corriere Israelitico (and, unfortunately, only in Italian translation without the original Hebrew). 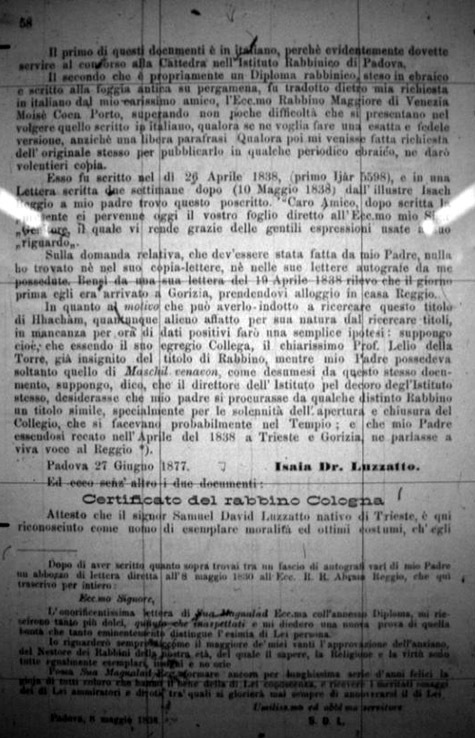 This was the text of a certificate of rabbinic ordination awarded to Shadal by the Chief Rabbi of Gorizia. In his own memoirs Shadal writes that his primary teacher, Rabbi Eliezer Abraham Ha-levi of Trieste, informed him at age 15 that he could be on track to receive rabbinic ordination at age 20 if he chooses. Shadal, however, did not consider himself suited for the rabbinate, being shy on the one hand, and dramatic and harboring lofty visions of scholarship for its own sake, on the other. So he declined. To which his rabbi remarked: "Luzzatto wants to be a hakham, but not a rav." As shocking as this sounds now, apparently in Italy one was called to the Torah as one had been ordained. (I know!) Thus, even if you were already a world-renowned talmid hakham, and even the teacher of a rising percentage of all the Italian rabbis to-be, without rabbinic ordination one could not be called to the Torah as a rabbi, not even Shadal. 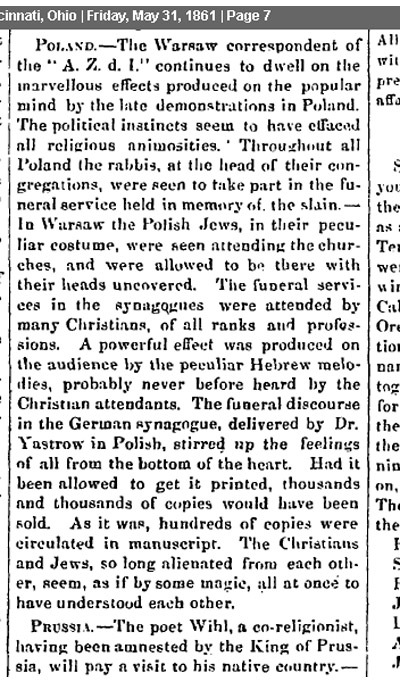 So digging through the dusty, squeaky, heat-emitting microfilms I located Isaia's article, took it home, and shared it with my friend Dan Klein who was inspired to translate it. Read - or skip - to the end. Actually, the article consists of two separate documents, and a short letter by Shadal. Isaia explains that the first is a recommendation letter by the Chief Rabbi of Trieste (Abram de Cologna, formerly the Chief Rabbi of Paris) and the second is the text of a semicha granted to his father by Isaac Samuel Reggio's (Yashar) father, Rabbi Abraham Reggio. Included is SDL's reply to the elder Reggio. Although Isaia is not completely sure, he guesses that the reason this ordination was given to his 38 year old father was that the powers-that-be at the Rabbinical Seminary where Shadal taught considered it unseemly for him, one of its two teachers, to lack ordination, and instructed him to get it. This would make sense, as why else would he have gotten such an honorary degree, so to speak, from his friend's father? Perhaps the rabbi was the only one he didn't feel like a fool writing to ask for it. On the other hand, perhaps someone else (the younger Reggio himself, for example) was the one who asked for it. The latter interpretation might be inferred from Shadal's response to the semicha, also included here, in which he says it was "unexpected." Taken literally - it was unexpected. In any case, here it is. PS A partial translation of this article did appear once before, but it is long lost, I believe. If and when I publish my Shadal essays both versions will appear, at least if Dan is kind enough to give his permission to me. 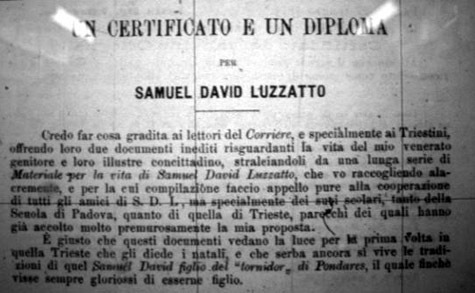 I believe I am doing something that will be appreciated by the readers of the Corriere, and especially by the people of Trieste, by offering them two unedited documents regarding the life of my revered father and their illustrious fellow citizen, extracting these documents from a long series of Materials Concerning the Life of Samuel David Luzzatto that I am busily collecting, and for the compilation of which I appeal for the cooperation of all the friends of S.D.L., but especially that of his scholars, those of the Schools of Padua and Trieste, some of whom have already accepted my proposal most eagerly. It is only proper that these documents should see the light of day for the first time in that Trieste which gave him birth, and which still preserves so vividly the traditions of that Samuel David son of the "tornidor" of Pondares,1 who, as long as he lived, gloried in being its son. 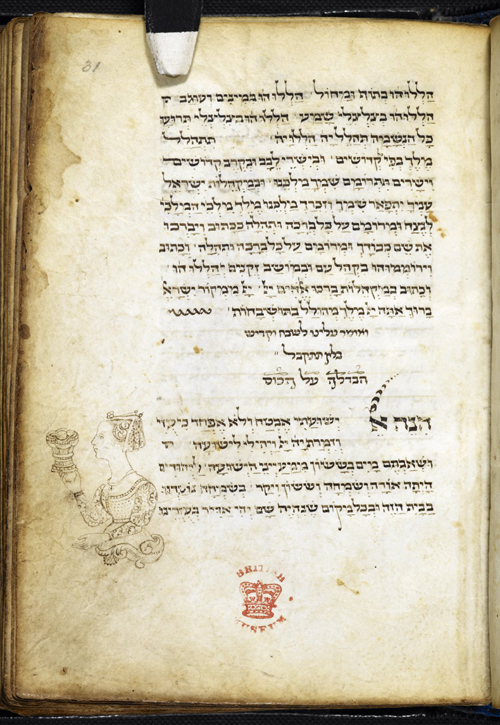 The first of these documents is in Italian, because it evidently was made use of in the application for the professorship at the Istituto Rabbinico of Padua. 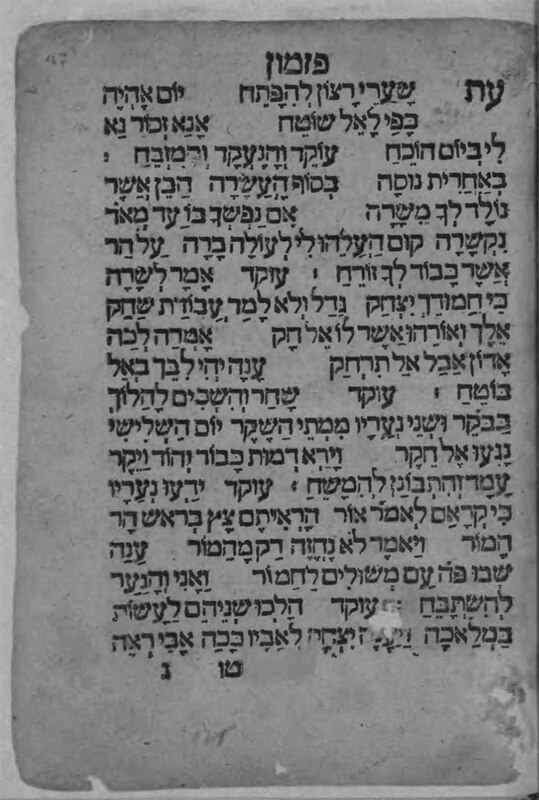 The second, which is actually a rabbinic diploma, set forth in Hebrew and written in the antique style on parchment, was translated into Italian at my request by my dear friend, His Excellency Moisè Coen Porto, Chief Rabbi of Venice,2 overcoming more than a few difficulties that arose in the translation process whenever an exact and faithful version was sought to be made, rather than a free paraphrase. Whenever a request is made to me to publish the original itself in some Hebrew publication, I will willingly furnish a copy. This document was written on April 26, 1838, and in a letter written two weeks later (May 10, 1838) by the illustrious Isaac Reggio to my father, I find the following postscript: "After having written the present letter, today your paper directly reached His Excellency my father [Abraham Reggio], who renders thanks to you for the courteous expressions used in his regard." Concerning the relevant request that must have been made by my father, I have found nothing, either in the copies of his letters or the letters in his own hand in my possession. However, from a letter of his of April 19, 1838, I perceive that on the previous day he had arrived in Gorizia, taking lodging in the Reggio home. With respect to the motive that could have induced him to seek this title of Hakham, although it was quite alien to his nature to seek titles, lacking for the time being any positive information, I will make a simple hypothesis: I suppose that since his distinguished colleague, Prof. Lelio della Torre, had already been bestowed with the title of Rabbi, while my father possessed merely that of Maskil ve-Navon, as may be inferred from this document itself, the director of the Institute wanted my father, for the sake of the Institute's own dignity, to procure a similar title from some distinguished rabbi, especially for the solemnities attending the opening and closing of the Collegio, which were probably conducted in the synagogue, and that my father, having gone to Trieste and Gorizia in April 1838, spoke about it with Reggio. The most honorable letter of Your exalted Excellency3 and the attached Diploma were as sweet to me as they were unexpected4, and they afforded me a new proof of that goodness which so eminently distinguishes your character. I will always regard as the greatest of my honors the approbation of the venerable Nestor5 of the Rabbis of our age, whose wisdom, piety, and virtue I affirm as equally exemplary, notable, and renowned. May Your exalted Excellency continue to inspire, for many more happy years, the joy of all those who have the good fortune of knowing you, and to receive the deserved homage of your admirers and devotees, among whom will always have the glory of being counted. I attest that Signor Samuel David Luzzatto, a native of Trieste, is recognized here as a man of exemplary morality and of the finest character; that he is distinguished for his vast knowledge in various branches of literature, both sacred and secular; that he is a professor of Hebrew language and sacred exegesis, and is a profound philologist; and that he has acquired a distinguished reputation as the author of various compositions published by him, which have obtained full approbation on the part of the literary public. I attest, then, that the said S. D. Luzzatto is, in my judgment, indisputably capable of occupying, with respect to said subjects, the chair of Professor in a Rabbinical Institute. O contemporaries, see this new flask that is full of old wine, the oldest, without adulteration. An all-containing cluster, a reasoning thinker and intellectual like Halcol and Darda†, in Bible as well as in Mishnah and Gemara. This star that emits a splendid light is the wise and intelligent Signor Samuel David Luzzatto, Professor at the Collegio Rabbinico of the famed city of Padua. The lion of society, who points the plain way to men of heart who eagerly learn in his school the statutes and laws of God in clear language. Renowned grammarian of the twenty-four books, celebrated poet in rhyme and meter. Behold, it is he who, from the chair of instruction, guides them on the path so that they may know and make known the things prohibited and lawful, together with morality, until they become chiefs of communities, in whatever places they may find shelter; hence (it may be deduced that) he who causes to be done is greater and more honorable than he who does. Seeing this great phenomenon, of which there has not been the like for centuries upon centuries, and his great wisdom in all and for all, to his friends and acquaintances I say that clear are the courses of the river of his wisdom, and that he has force and vigor. I say, let not his erudition be enclosed in a corner, notwithstanding his pure humility, and notwithstanding that titles and ranks of dignity have no importance to him; everyone should take hold of him as a shield and buckler, and thus the inhabitants of the world will see how great is the office of the law. Therefore my heart tells me, and I have the word (ready) on my tongue, to exalt him and to crown him, throughout the regions of Israel, with the Rabbinic cloak of royalty, for to him pertains the firstborn's share; and with the assent of the Heavenly King and of the Tanna and Amora‡, I place my two hands upon him and invest him with a glorious crown, and I authorize him to be called to the Torah with the title of "the most excellent, learned, intelligent, and wise Signor Samuel David Luzzatto (Magnalad Achacham)6; this is an honor that comes of its own accord to one who bears the heavy weight; let this be done so that all the Community of Israel may hear and say, "This is the Law, and this its recompense." And now, with palms stretched forth to Heaven in awe, I pray that God may render great and mighty the Professor of His just law, and that He raise him to all the rabbinical degrees in abundant and overflowing measure, with long life, plentiful sustenance, and riches of every kind. Amen, may this be His will. 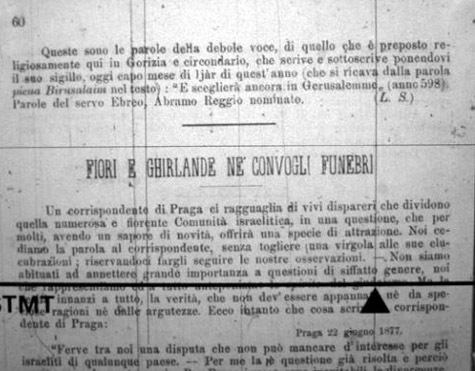 These are the words of the weak voice of the one who is placed in the position of religious authority here in Gorizia and its environs, who writes and subscribes with his seal, today, the first of the month of Iyyar of this year (whose number is derived from numerical value of the plene form of the word biyrushalayim in the verse [Zech. 2:16]), "And He shall again choose Jerusalem" (598). The words of the Hebrew servant whose name is Abraham Reggio. 1 "Tornidor" is evidently the Trieste dialect's equivalent of the standard Italian "tornitore," meaning "turner" or "woodworker." This was the occupation of Hezekiah Luzzatto, Shadal's father. The family lived at 1306 Contrada Pondares in Trieste. 2 Porto (1834-1918) was a student of Shadal at the Collegio Rabbinico. 3 In the original, "Sua Magnalad Ecc.ma," a combination of Hebrew and Italian; magnalad is the Italian Jewish pronunciation of ma'alat. 4 Emphasis in the original as transcribed by Isaia Luzzatto. 5 Nestor, a character in Homer's Iliad and Odyssey, came to be a proverbial figure of an elder statesman and wise counselor. † Names of wise men in the time of Solomon, see I Kings 5:11 [note by M. Coen Porto]. ‡ "Tanna" is the author of the Mishnah and "Amora" is the author of the Gemara; here this means, with the assent of the greatest celebrated Rabbis [note by M. Coen Porto]. 6 The Italian Jewish pronunciation of ma'alat ha-hakham, "the exalted scholar," i.e. Rabbi. 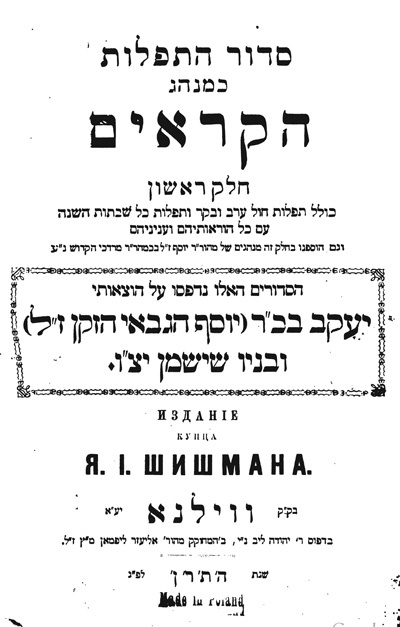 Title page of the Korban Ha-edah's Thanksgiving drosho, 1757. Also see here, where in the comments I commented. 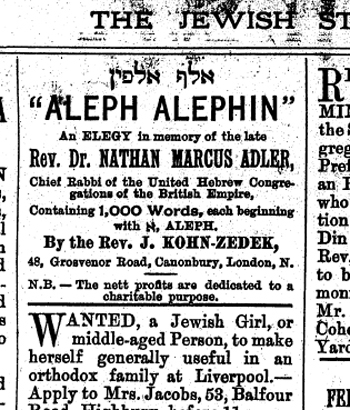 Here's an advertisement in the Jewish Standard (2.28.1890) for the book Eleph Alephin, by the venerable Joseph Kohn-Zedek, which is, as it says, an elegy for Rabbi Nathan Marcus Adler using 1000 words beginning with the letter aleph. And that's what it is. Have got to love the name he gives himself for יוסף כהן-צדק on the title page: אסף אהרני-אמיתי. Read and download it if you like here. 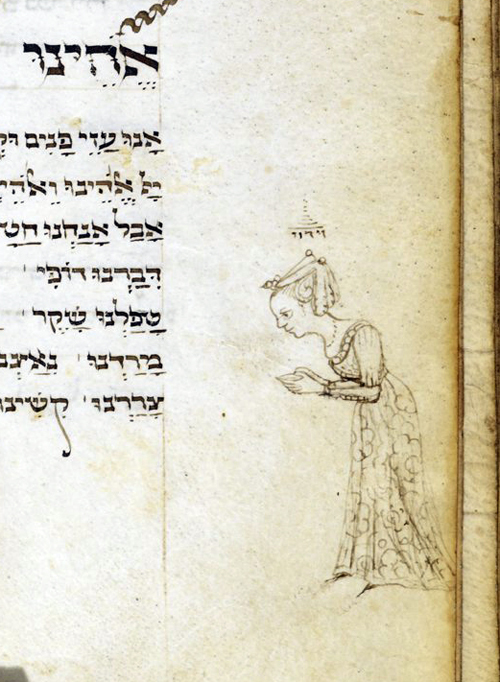 Should Maimonides really be called Miyaminides? As you can see, it embeds words meant to read ani moshe beribbi maimon chazak, "I, Moses, the son of Rabbi Maimon, Chazak." The reason why I posted this image is to show how it looks when these key words are not highlighted by arranging the verses in a more poetic fashion and when they are. 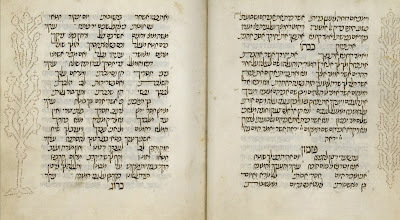 You can also see that the poem begins, or seems to begin, with a verse that reads et sha'arei ratzon le-hipateach, "It's a good time to begin..." The scholars of poetry are divided as to whether these words are Maimonides' or not since, actually, they are not originally by Maimonides and belong to another well-known liturgical poem. So the question is, did Maimonides himself begin with borrowing from another poem, and is his poem really called, so to speak, Et Shaaret Ratzon, or is it Ani Maskir Ha-yom? We will return to this, but first we turn to 1750. 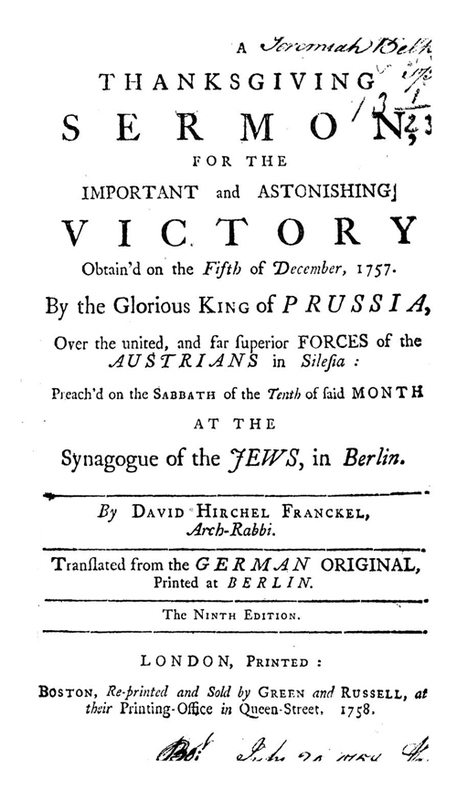 In Berlin, after 1750, Jewish courts were only recognized by the Prussian government as an arbitration. Prior to that time they had been fully recognized as real courts for Jews in their civil cases. It was seen as desirable for Jews to decide such affairs amongst themselves. But what this change meant was that the law now permitted Jews to appeal the arbitration (that is, a Din Torah) in a non-Jewish court. However, in a position which probably seems downright strange today, the Berlin State Council wished to enable Christian judges to decide the law in an appeal between Jews according to Jewish law. This was not unprecedented; the same had been the case in Metz, and the reason for this was to discourage Jewish misuse of the courts. Once Jews knew that on appeal their case would still be decided according to halacha, they would be less likely to turn away from the decision of the Bet Din in the first place. 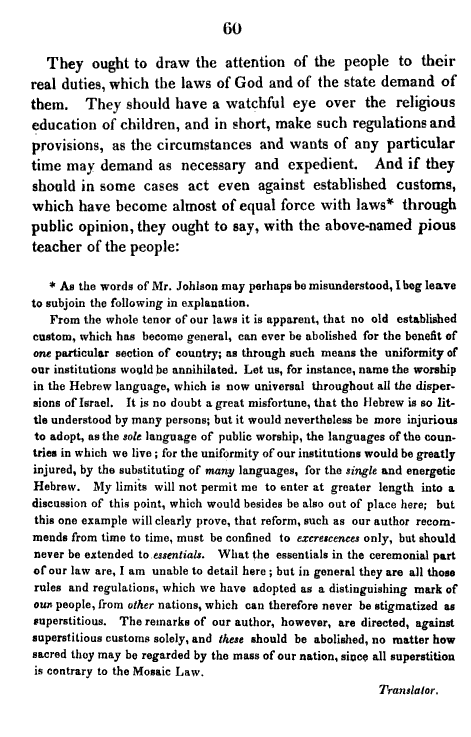 R. Moses Majemonssohn, who lived in the fiftieth century after the creation of the world (in the twelfth century of Christian era), by omitting from the Talmud all disputes and [legal] investigations created a complete system of law and ritual with the title Jad chasakah, a book which received uncommon acclaim, although also some opposition, and therefore acquired authority as a legal code." I think we may agree that Majemonssohn is going a little far, and the judges could have handled it if he called him Maimonides. But I digress. In my opinion, he looks angry in the poorer scan, whereas in the real image he merely looks fatigued. Although you obviously should not draw conclusions about a person based entirely on how they look, I think readers (as well as myself) would have gotten a very different impression of him from only seeing the second image. This is a good example of why scan quality matters! It describes how he toils without books or people to discuss scholarly matters with. Yet at the same time, in the same volume of Zion young Reifmann was able to publish an important scholarly finding , showing that a commentary on Proverbs which had been attributed to Ibn Ezra was really by R. Moses Kimchi. Israel Zinberg, writing about Reifmann in even later years, calls attention to a letter by Freimann to SJH Halberstamm in which he describes how he works: he lives in one small room, where he also works, filled with children and chickens. 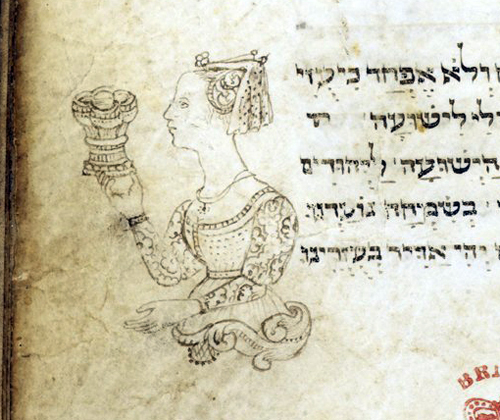 The Name Maimon (מיימון) *). This name is usually written with double Yud and Vav, and I've never been able to give a good explanation of its origin. However, it is very notable that in the piyut written by Maimonides which begins עת שערי רצון (in the Sephardic Mahzor for Yom Kippur), the embedded signature is אני משה ברבי מימן חזק, with only one Yud and no Vav. As this is his own signature, this led me to conjecture that this name is probably Hebrew, as in Neh. 10.8 מִיָּמִן, and therefore we should properly say Mijaminides. In other words, Reifmann was suggesting that really Maimon, the father of Maimonides, might have been named Miyamin, which is an obscure biblical name, and if so, shouldn't we say Miyaminides? 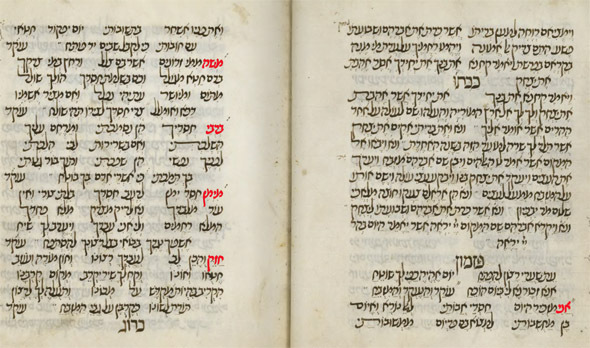 The evidence is in the form of the piyut, or synagogal poem, written by Maimonides which included his signature embedded within it. Since Maimonides himself writes his father's name "מימן" rather than "מיימון," perhaps the correct explanation is that really his father was named מִיָּמִן. 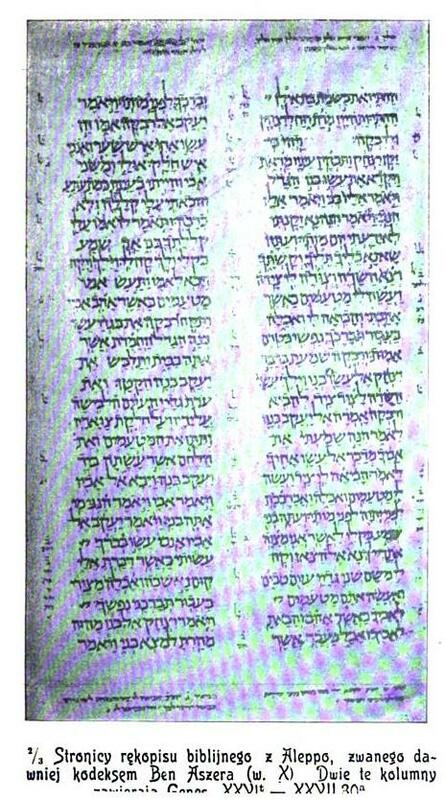 That the name Maimun is Arabic and that Moses himself wrote it מימון in his writings in (Judeo) Arabic, is known. Herr Reifmann is in error; but at any rate, it all depends on the acrostic in the one song. In other words, even if we ignore the fact that we already know that the name is Arabic and it is Maimun, Reifmann just did not present enough evidence for his conjecture - he only gives one piece. 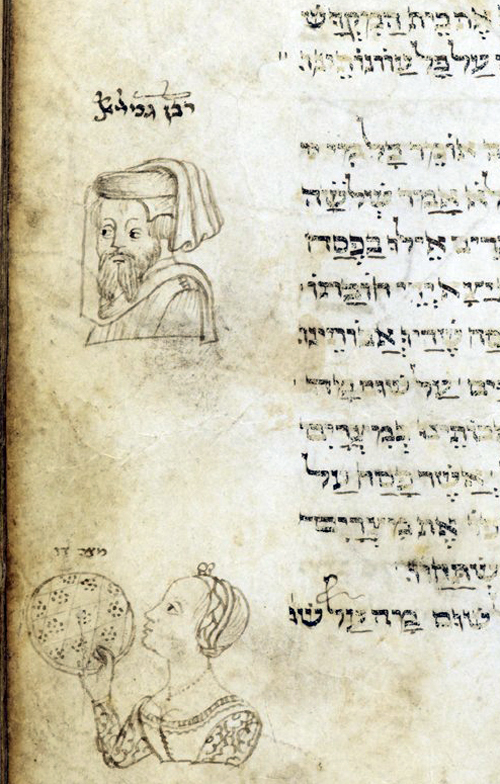 Maimonides or Mijaminides? Herr Reifmann wants ميمون (i.e., Maimun) to be seen as identical with מִיָּמִן (i.e., Miyamin) of Neh. 10:8, and his primary argument rests on the piyut עת שערי רצון, etc. He goes on to point out three things. 1) The words embedded in the poem - אני משה ברבי מימן חזק - form a part of the poem. So of course the و (the Arabic equivalent of vav) isn't there. 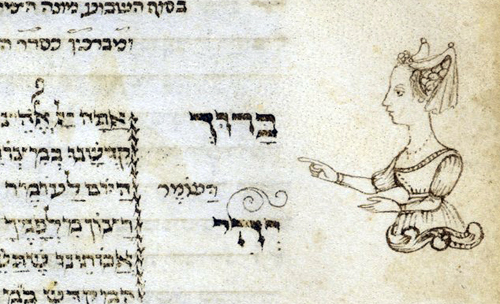 Where is there room for a vav in the phrase מִי מַן? 2) Many of the other words are not properly vocalized as real words. 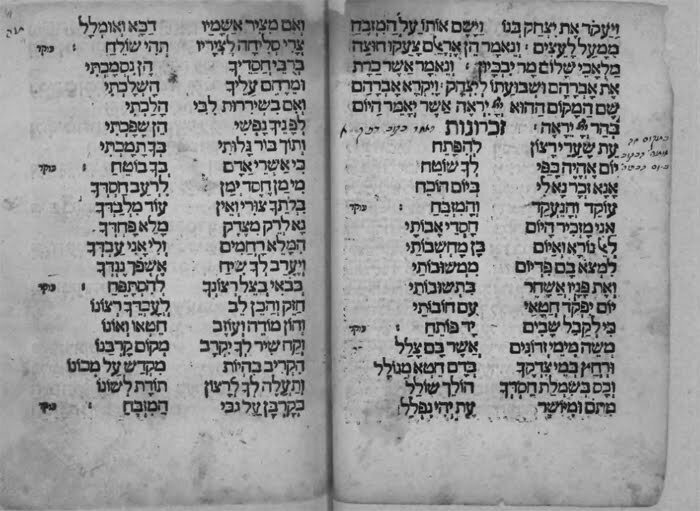 For example, in the piyut the word is מְשֵׁה, not מֹשֶׁה. In other words - hello, this is poetry! 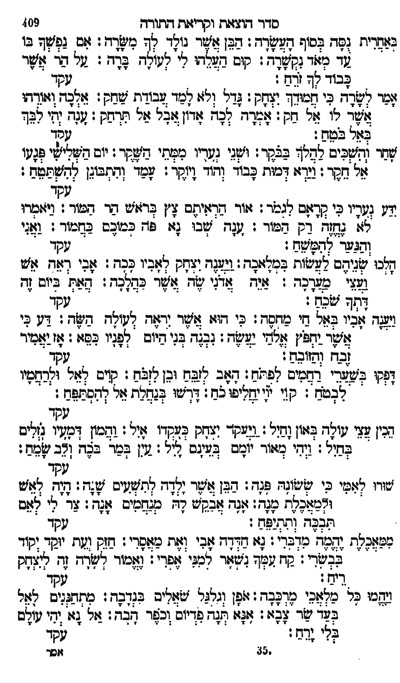 And which Arab Jew will see מימן in a poem such as this and not realize it is supposed to double as ميمون (=Maymun)? 3) If this was all a great big mistake, would Maimonides have allowed everyone to think his father's name was the Arabic maymun - which meant the same thing as the Latin felix, or happy - if it was really Miyamin? But Maimonides never corrected this error - because it is no error! Still, Reifmann was using his head, and it sure was an interesting suggestion. When I was 24 I don't think I was hairsplitting piyutim and drawing analogies to, face it, obscure biblical names. Now, a few things are in order. First, it must be noted that Reifmann really did not discover this. There is a little known branch of Jewish learning on onomastics, that is, the proper spelling and origin of names. The reason why this field exists is because of the stringent halachic requirements of writing a get, or writ of divorce. In a get names must be spelled very precisely, and there are all kinds of questions about nicknames, which gives rise to deep study about the origin of names. Hence the rise of guides to the proper spelling of names for writing a get. So people who love to investigate names have a whole literature all about them, spelling, etymologies and so on. 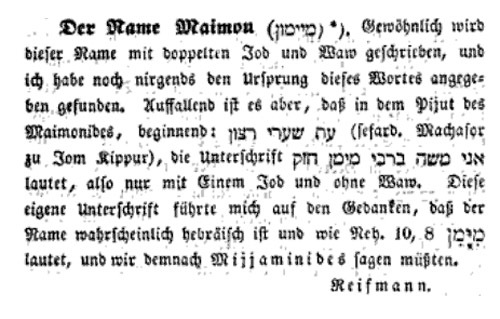 Actually, the observation regarding the spelling of the name Maimon really comes straight out of the Rabbi Simcha Ha-kohen's Sefer Shemos (Book of Names) of 1657 - although most likely Reifmann was familiar with Rabbi Simcha's remarks through the later 17th century work, the Bais Shmuel on Even Ha-ezer, in the portion of the work called Shemot Anashim/ Nashim ('Names of Men and Women' printed in the second edition of 1696 after EH 129). 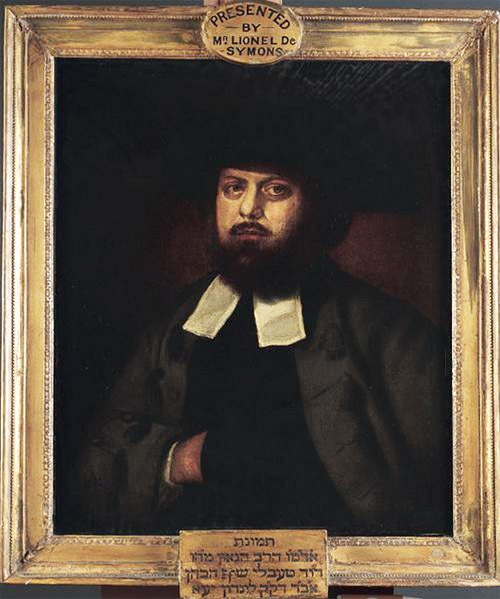 Bais Shmuel, by Rabbi Shmuel Shay ben Ohr Shraga Phoebus of Fuerth incorporated the findings of Rabbi Simcha into his work, which he acknowledges, as later halachic writers on names would incorporate the Bais Shmuel itself. He quotes R. Isaiah di Trani as establishing the proper spelling of Maimon as Mem-yud-mem-vav-nun, even though we find in many rabbinic works, such as Mordechai, that it is spelled with two yuds - but that's really no big deal. So R. Simcha asks that in the aforementioned Yom Kippur piyut it is also spelled with no vav? He answers that names which aren't scriptural can be spelled plene to give a visual aid in its pronunciation. Not much of an answer, if we're trying to say that מימון is best, rather that מיימון or מימן. But the point is that R. Simcha definitely noticed the spelling in the Rambam's piyut and brought it to the attention of the world. 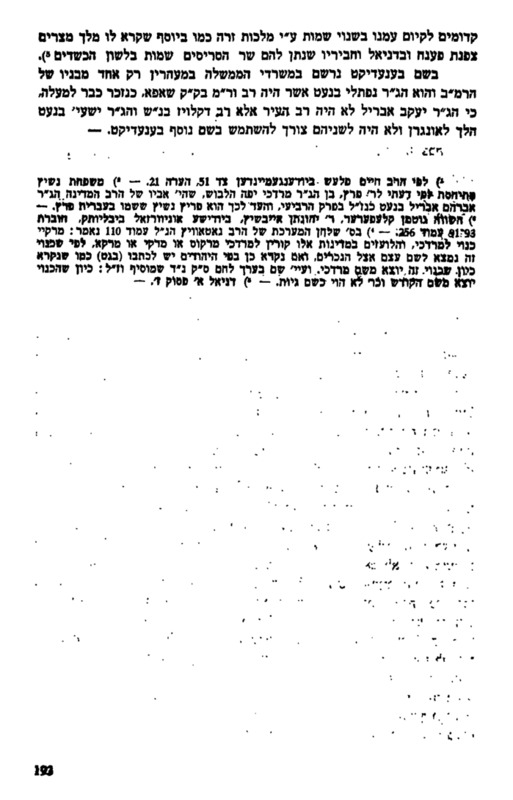 His discussion was in turn adopted by R. Shmuel, and that work became an appendix to the Shulchan Aruch Even Hae-zer and also as the basic text of works later like Tiv Gittin. Reifman almost certainly noticed it in the Shulchan Aruch. 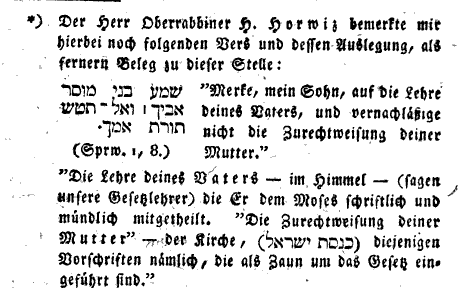 I suppose that since Reifmann did not mention the Bais Shmuel, it is poetic justice that his exact suggestion was eventually incorporated into a halachic work about names - only without mentioning him. 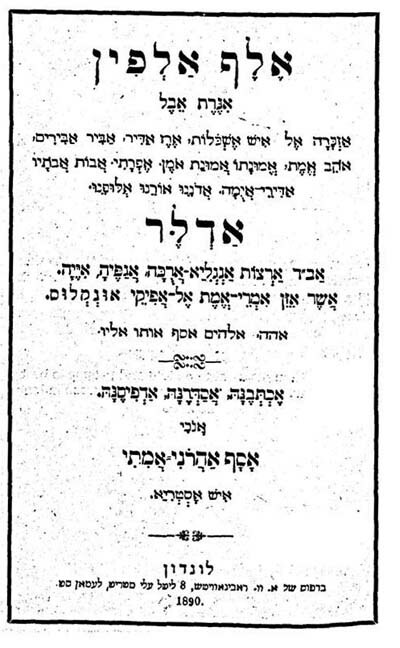 I am speaking of the שלחן המערכת (Warsaw 1876) by R. Isaac Notowich. I don't know much about him, but he was the rabbi of Simferopol in the Crimea, and I saw that he is listed as a pre-subscriber to the Karaite Firkowich's Avne Zikaron (he is listed as "Moreh dat be-veit ha-sepher me-ha-memshalah be-ir Simferopol"). At the same time, Efraim Deinard says that he wrote a work against Firkowich. 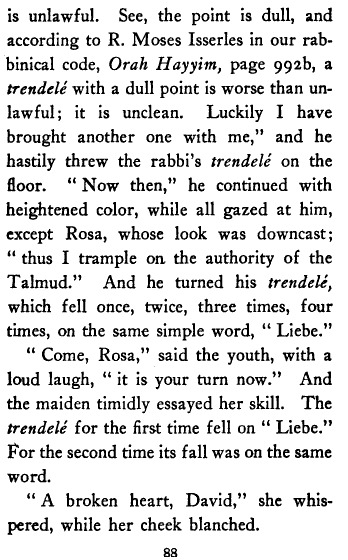 It seems from this description, and the fact that he seems to have been a fellow traveler with rabbis like Yosef Zecharya Stern, that he was one of those quasi-maskilim rabbis who existed in large number in those days, thus it would be know surprise if he had read this passage in the Orient or discussed it with someone, rather than independently reaching the same conclusion, that Maimon could really have been Miyamin (although he rejects it). In any case, on page 108 of Shulchan Ha-ma'areches he discusses the Bais Shmuel's quotation from R. Simcha in Sefer Ha-shemos. He cites the book Ezras Nashim which also had much to say about the proper spelling of the name. 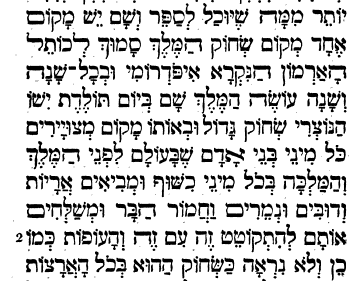 The material that R. Notowich refers to deals with the modern publication of responsa of the Rambam which actually featured a facsimile of his signature, and it read like this: "הוגה מספרי אני משה ברבי מימוני ז"ל." 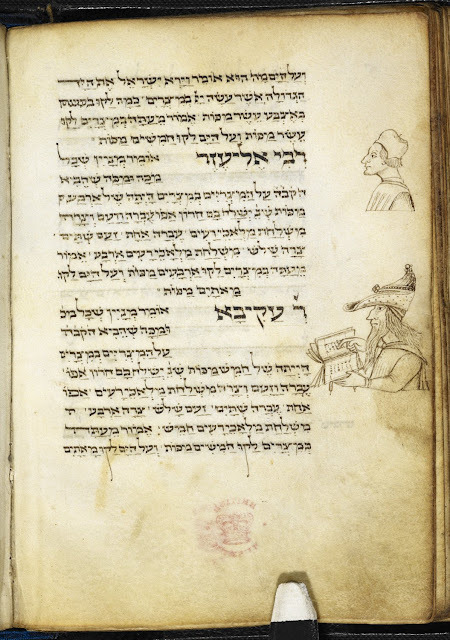 See my earlier post, Maimonides's Own True signature, about the history and dissemination of this facsimile before the revelations of the Genizah. Speaking of the discussions of a signature in this book by Notowich, I came across a really interesting note in the biography of R. Mordechai Banet. Basically, the problem is this. We know that in official government documents R. Mordechai Banet signed his name "Markus Benedict." The question then, of course, is how could this ga'on and tzadik change his name, when we know that Israel was redeemed on account of their never changing their names?! Back to our subject. This leads us to several questions. First, what does the Arabic word/ name Maimon mean? 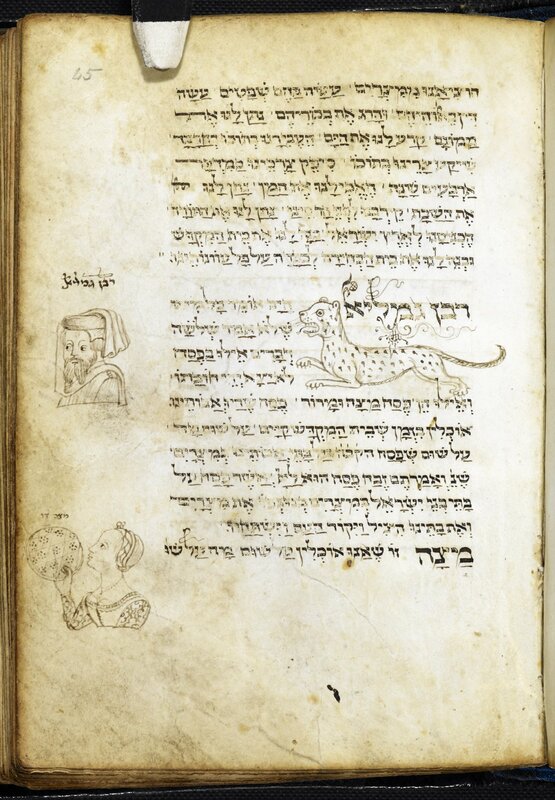 Second, what's this business with the piyut (really pizmon) written by Maimonides? As we said, Maymun means "happy" or "fortunate," similar to the name Felix (the name, which comes from the Latin word). Since there are a number of Hebrew names with a similar meaning, some have conjectured that Maymun is an Arabic form of Matzliach or Baruch. The idea here is similar to Yiddish, which used German words and names as a parallel to Hebrew. So, for example, the German Selig was paired with the Hebrew Asher, which have similar meanings. As is to be expected, Moritz Steinschneider is more meticulous and, frankly, more plausible. He writes (same publication) that it is the Hebrew equivalent of Matzliach, as mentioned. Not only is it a more exact equivalent linguistically, the name מצליח was not uncommon in the Ge'onic, Arab milieu. 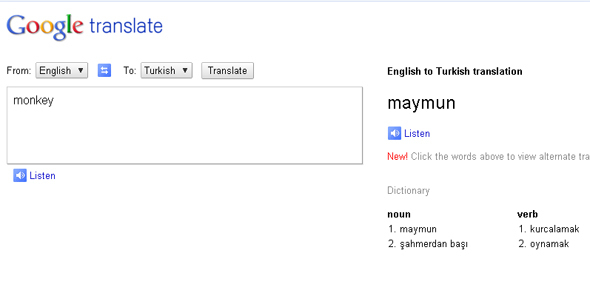 As a curiosity, I will point out that in Turkish maymun means monkey! The Illustrated Natural History correctly pointed out that it comes from Greek, where μαϊμού (mayimu) means monkey to this day. I don't know why or when it meant "hobgoblin," but there it is. Thus the name. But what of the Rambam's piyut? First, Rabbi Simcha may have made a mistake here - a common mistake. 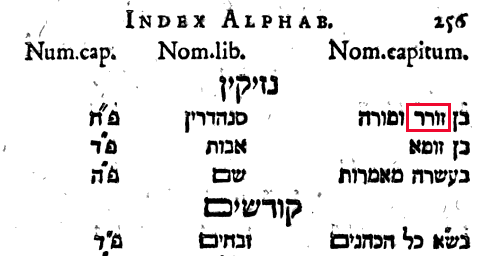 The Rambam's piyut - pizmon, really - properly begins אני מזכיר היום חסדי אבותי, not עת שערי רצון להפתח. 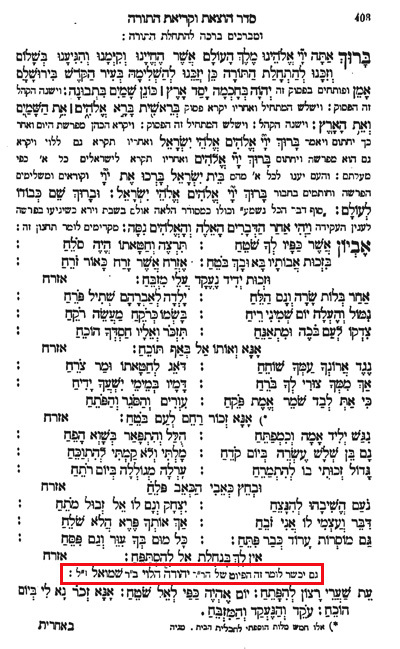 There is another pizmon, which is also part of the Sefardic liturgy, which begins עת שערי רצון להפתח. 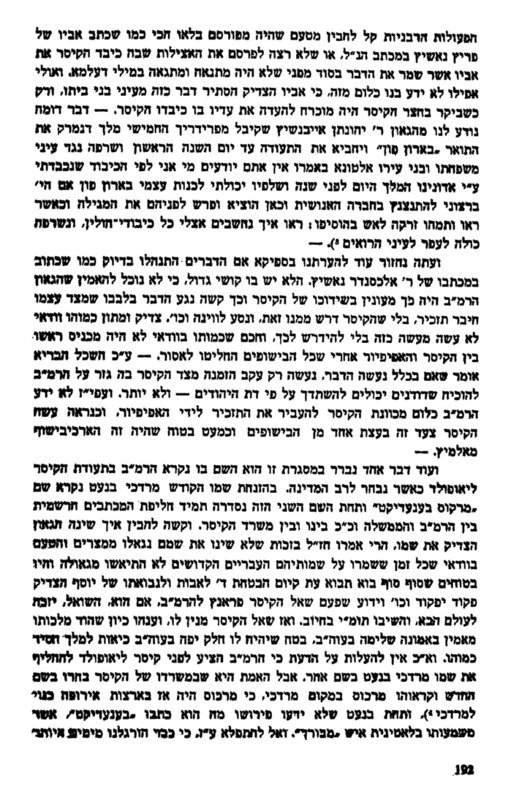 This pizmon was written by Yehuda Shmuel Abbas. 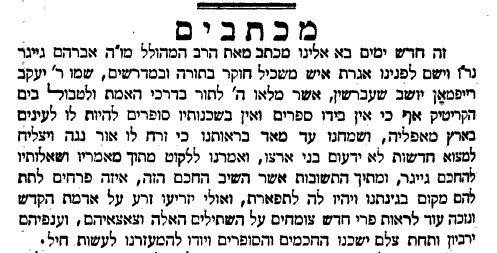 In printed editions the Rambam's pizmon begins with Yehuda Shmuel Abbas's first paragraph, with slight variations. Here are two of several possible reasons for this. The first is that it was added by chance or by accident. The second is that the Rambam, well, plagiarized those lines. Or if you prefer, adopted his form. It is certainly better to assume the latter - and actually it might be plausible, if Yehuda Shmuel Abbas' piyut was already well known. Speaking of Yehuda Shmuel Abbas, it's interesting to note that there used to be a strange idea that his piyut was written by three brothers, one called Yehuda, one Shmuel and one Abbas. We now know full well that there was a man Yehuda (ben) Shmuel (ibn) Abbas - and what a story there was with his son - and the strange idea that one pizmon would be written by three brothers is basically ruled out. Interestingly, there've even been those who doubted that the Rambam really wrote this pizmon because "he didn't have the soul of a poet!" So who wrote it? Another Rabbi Moshe ben Maimon! 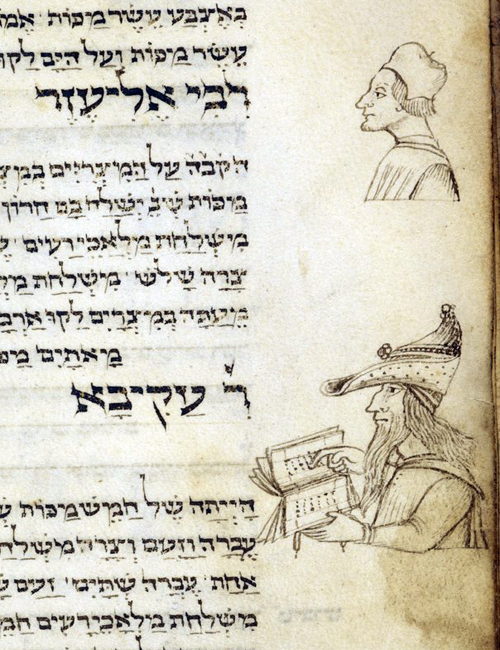 Not to mention the Rambam's famous disdain for poetry. 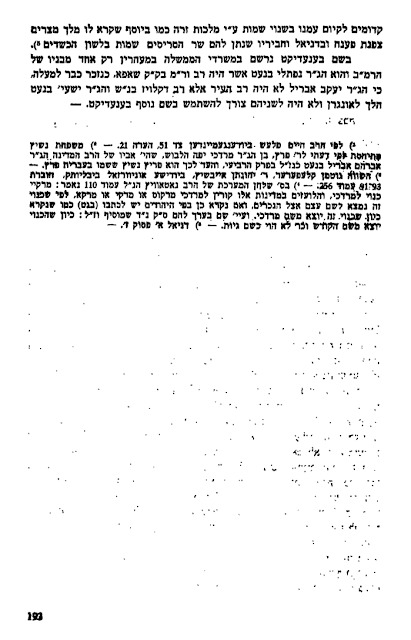 In R. Lippman Prinz's Tashlum Abudarham, the erudite author offers some linguistic evidence (pg.135) from the Rambam's own writings to try to establish that he was indeed the author of this pizmon. He leaves out the עת שערי רצון verse entirely, so I think he must have believed that it was added later to the Rambam's verses as an introduction to his pizmon. Incidentally, I think there is a problem that can't simply be brushed away with assuming that this pizmon was written by the Rambam, which is that the old machzorim don't say so. Sephardic machzorim are chock full of author identifications, Ibn Gabirol, Ibn Ezra, R. Yehuda Halevi, etc., and they note the names of more obscure payetanim as well. Yet, where is the Rambam identified? Not only isn't it in this one (Salonica 1526), but it also isn't in the Catalon machzor manuscript from circa 1280, which gives the names of many authors. The Rambam died in 1204. To put this in perspective, it would be like a machzor today printing a poem by a man who died in 1935. That's recent. We would probably know who the author is, particularly if he is so prominent. If the Rambam actually wrote this pizmon, why isn't he mentioned? Now there are possible answers, and we don't have to resort to a far-fetched suggestion like that the ani moshe be-ribbi maymun chazak signature is a coincidence and imaginary. However, I do find it interesting that rather early on one does not see him necessarily identified as the author. On the contrary, the identification happens the later we get. Finally, here is some miscellaneous material I collected relating to this post. 3. It should be noted that there is a textual issue with the name Miyamin and an apparent variant in the Bible (Minyamin) itself. Furthermore, the name Minyamin makes appearances in the Talmud, and all this could be incorporated into this discussion. 4. It should be pointed out that Reifmann's scholarly credits also include anticipating actual Hebrew words which were to later be discovered in the original Hebrew of Ben Sirach pulled out of the Geniza. 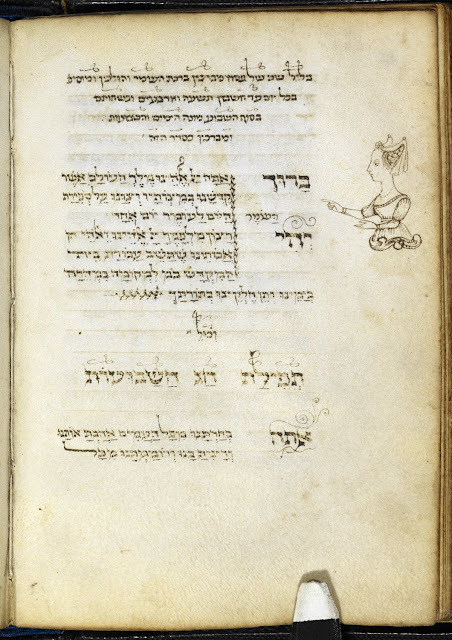 Finally, there is much more to write about this fascinating subject and how it relates to scholarship and speculation about the author of Yigdal, as well as other musings about the Rambam's pizmon itself - but all posts must come to an end.